You have probably experienced a situation where it seems your car or anything you own just requires repairs every now and then. And as you go over the process again, you realize it is not making any economic sense. You question yourself, “Is it actually better to get a new one instead?” The same thing can really happen with your kitchen cabinets, especially when it starts to show off signs of aging. 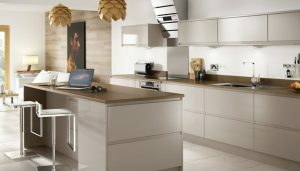 Kitchen Interior Design – What to Consider and What to Do. Commonly thought to be found in airports and stadium bathrooms or other public places, touchless faucets are of more significant help in the kitchen also. Apart from maximizing water conservation, the faucets also reduce the transmission of germs that lead to common diseases. However, these small live savers come in various models and brands thus walking into the store and picking the one that you land your eyes on are not quite the strategy. In the past, an estimated 80 to 90% of kitchens were built white-on-white with a touch of colour to reflect the homeowner’s personality or add character to the kitchen. White is truly a safe colour, and most homeowners prefer white because they can gradually add a personal touch to it without having to go overboard and redecorate the whole room. Some design trends go out of style only to make a comeback decades later. Today’s designers are all about drawing inspiration from the past to help you create an interior decorating style that is all your own. Check out these interior design trends from the past that you can implement in your home! Operation Kitchen Work Surface – Decisions Decisions! When you are decorating a kitchen or even revamping it completely, you have many decisions to make, and certainly one of them is which work surface to go for. 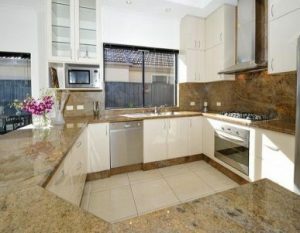 You want whichever choice you decide on to stand the test of time, you want to make sure that it fits in with your budget, and you want to know that it is going to be the right choice for your lifestyle and the size/design of your existing kitchen.